Although our office is located in Baltimore, attorney James Skeen is an AV-rated* lawyer licensed to practice in Maryland, the District of Columbia and Virginia. He frequently represents clients from major cities on the East Coast, Mid-West, West Coast and Canada. Subrogation is when one person or party stands in the place of another. A subrogation claim allows the innocent paying party, also know as the “collateral source, to stand in the shoes of the injured party. 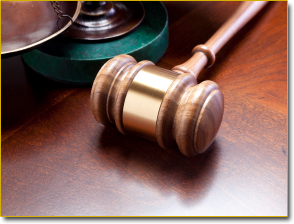 At our law firm we take pride in our ability to provide skilled advocacy and legal representation for our clients at a competitive rate, usually a contingency fee. Our goal is not to maximize our legal fees, but to resolve our client’s legal issues as quickly and cost-effectively as possible while achieving the result they are looking for. Atlantic Mutual Insurance Co.; Marine Office of American Corp.; Nationwide Insurance Co.; New Hampshire Insurance Co.; McLarens Toplis; Chartis Marine Adjusters, Inc.; Gradmann & Holler; GmbH, Hamburg; Royal Insurance Company; The Home Insurance Company; Arkwright-Boston Insurance Co.; Mitsui Claims Service Corp.; Lloyd’s Underwriters Claims; American International Recovery Inc.; Chubb Group of Insurance Cos.; Travelers/St. Paul Fire & Marine Insurance Co.; Fireman’s Fund Insurance Co.; The Hartford Insurance Co.; Safeco Insurance Co.; The Philadelphia Insurance Cos.; Cambridge Integrated Services Inc.; National Subrogation Services; Latitude Subrogation Services; CNA Insurance. Issues that typically arise in subrogation cases require knowledge of property law, transportation law, contract law, personal injury litigation and insurance law. James Skeen has 33 years of experience in these areas of law and can provide effective practical solutions for your subrogation claims. For a complete list of client and law firm referrals or to schedule an appointment with our law office, please contact our Maryland, Virginia and D.C. attorneys via e-mail or call 410-625-2252. *James Skeen is an AV rated litigator. CV, BV and AV are registered certification marks of Reed Elsevier Properties Inc., used in accordance with the Martindale-Hubbell certification procedures, standards, policies. Martindale-Hubbell is the facilitator of a peer review rating process. Ratings reflect the confidential opinions of members of the Bar and the judiciary. Martindale-Hubbell ratings fall into two categories –legal ability and general ethical standards.